What better way to spend your free day than exploring the treasures of Huntington? Take some time to enjoy your favorite art exhibit, a tour of a mansion, or even a stroll through the state park. Then end the night by visiting one of the best restaurants in Long Island. When it comes to finding something constructive to do, Acura of Huntington have you covered. Find relaxation and serenity in this beautifully landscaped state park. Follow a trail guide on the four-mile adventure through the Caumsett State Historic Park woodlands, meadows, past the freshwater pond, and end at Long Island Sound. If hiking isn’t your cup of tea, enjoy the estate and its extensive history while getting some fresh air. Get a taste of fancy living with a tour of the Oheka Castle Mansion estate and gardens or stay the night for a real royal experience for all ages. After each tour, you’re able to relax and enjoy complimentary coffee or tea with homemade cookies from the Pastry Kitchen. Who doesn’t want to experience royalty on your day off? Grab your beret and take a trip to the Heckscher Museum of Art for their exhibits and events including The Age of Tiffany: Between Nouveau and Deco, Sunday Sketching in the Galleries, and upcoming Long Island Biennial exhibit. Better yet? Huntington residents are admitted free on Wednesdays after 2:00 pm and Saturdays before 1:00 pm. Treat yourself to famous music and entertainment venue The Paramount. With Zac Brown and Guns N’ Roses tribute bands and the Jim Breuer Residency comedy show, this venue is the place to go for a good laugh, good music, and a good time. With so many things going on around Huntington, you don’t want to miss out on any of it because your vehicle isn’t performing at its best. 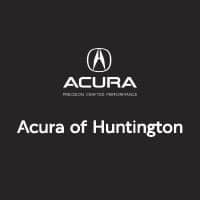 Contact us at Acura of Huntington to schedule a service appointment or learn more about our financing options for a new vehicle, and be sure to explore your options for the best ways to celebrate Halloween near Huntington!